How to Change Your Mind by Michael Pollan is the book I didn't know I've been longing for! Right now we're going through what some have been calling a "Psychedelic Renaissance" in scientific, therapeutic, and spiritual/mystical areas of research--and in this compelling, thorough, expansive book, Pollan explains why. 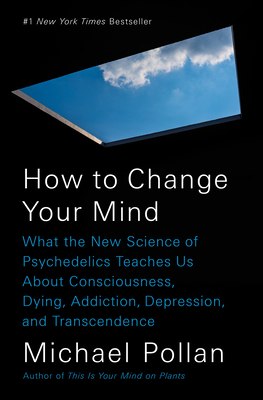 From the history of LSD, to interviews with folks like Paul Stamets & Roland Griffiths, to memoir-like accounts of the author's own firsthand psychedelic experiences, this book has it all. An absolute MUST-read.